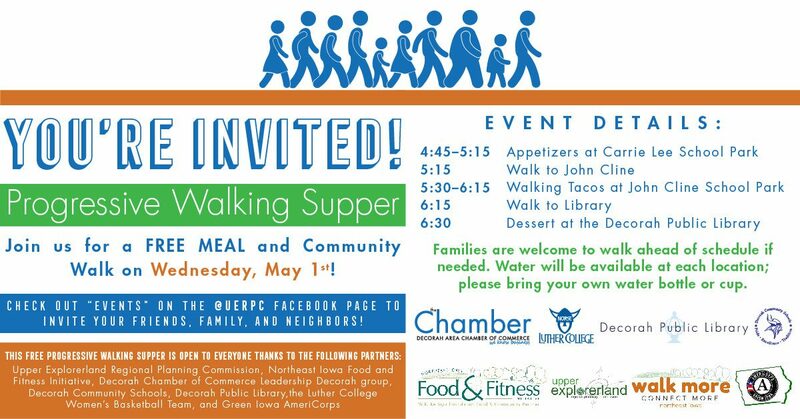 Join us for a free meal and a community walk on Wed May 1st. This spring celebration is being held in conjunction with Screen-Free Week, an annual event where children, families, schools, and communities are encouraged to rediscover the joys of life beyond the screen. Plan to unplug from digital entertainment and spend all that free time playing, reading, daydreaming, creating, exploring, and connecting with family and friends!